Wayne State University launches its second Walk [Wayne State] campaign this week, encouraging exploration of Midtown by foot or bicycle. The campaign is coordinated by the university's Office of Economic Development and is part of a larger placemaking effort designed to bridge the boundaries between campus and the surrounding Midtown neighborhood. With messages such as "It is an 8-minute walk to historic homes on Ferry Street" or "It is a 15-minute bike ride to murals in the Market," quirky, temporary signs alert campus regulars and visitors to the many noteworthy destinations that are a short walk or bike ride away. The signs also aim to draw the larger Midtown community to attractions on campus, including the Yamasaki Reflecting Pools and the WSU Planetarium. QR codes on each sign enable users to access maps and additional information on their mobile devices. Signs are posted as far south as Eastern Market and as far north as Virginia Park. 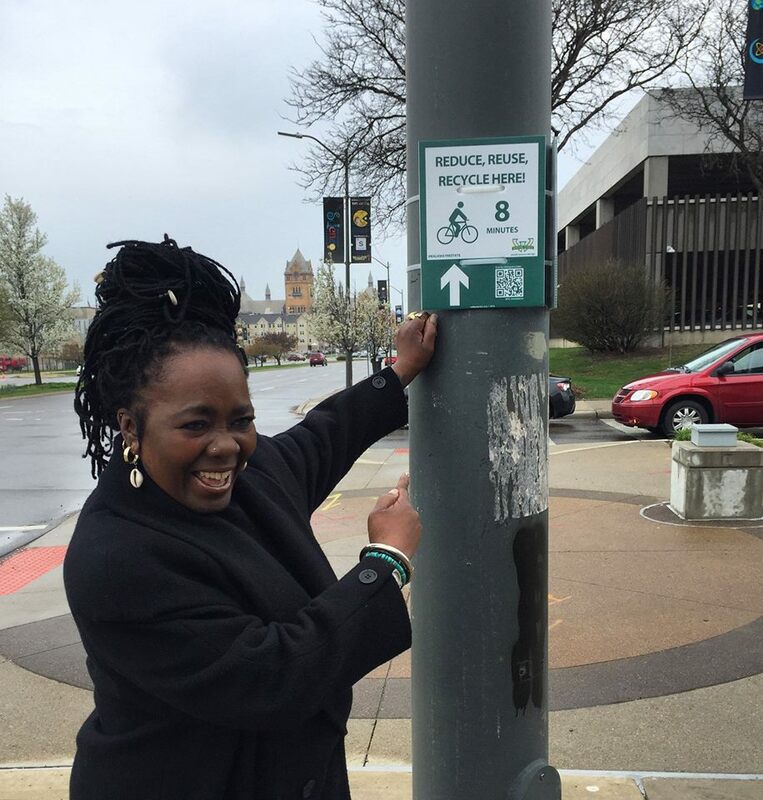 "Walk [Wayne State] is one of the many creative ways we are working to change how our campus and our neighborhood are experienced and perceived,” says Jeri Stroupe, senior project administrator in the Office of Economic Development and coordinator of the project. "Walkability is one of our neighborhood’s greatest assets. We hope these small interventions can help shift the thinking about how we get from point A to B while we encourage people to revisit or discover the many fascinating parts of Midtown." Employing the “small-scale intervention” concept known as tactical urbanism, other placemaking initiatives at Wayne State have included Park(ing) Day, which turns parking spaces into temporary urban parks; art installations from the DIA’s Inside|Out program; and “chair bombing”—placing movable chairs and tables at strategic spots on campus to foster activity and engagement. Placemaking priorities are determined by a universitywide Placemaking Committee, and projects are executed with the assistance of the WSU PlaceMakers, a group of student volunteers. Walk [Wayne State] uses the Walk [Your City] online toolkit, first developed in Raleigh, North Carolina, and now used in communities across the United States. The Walk [Wayne State] campaign continues through December 2016 and is made possible in part by support from the John S. and James L. Knight Foundation, the Community Foundation for Southeast Michigan and the Healthy Environments Partnership. 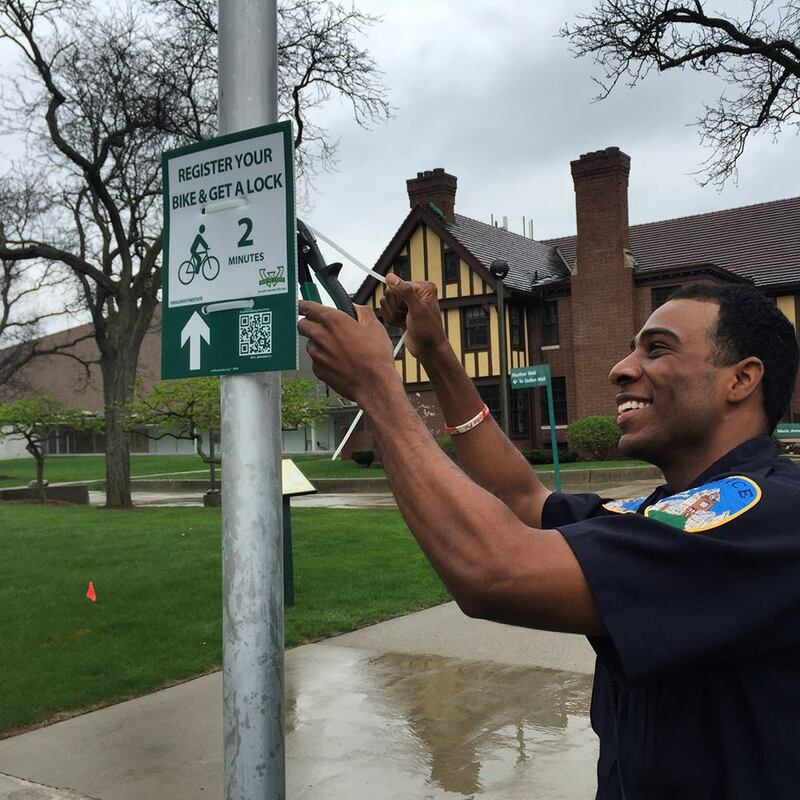 Feedback on the signs can be posted to social media using the hashtag #walkwaynestate. For more information on the Office of Economic Development and placemaking efforts at Wayne State University, visit economicdevelopment.wayne.edu. The Office of Economic Development leads Wayne State University’s efforts to catalyze business activity and promote a vibrant Midtown Detroit. The office works across the university to leverage Wayne State’s assets — talent, research and technology, facilities and services, and real estate — to stimulate growth and strengthen Midtown and neighborhoods across the city. For more information, visit economicdevelopment.wayne.edu.